There are so many things that I want to share about my breastfeeding journey with my boys in light of World Breastfeeding Week. So many moments that have led me to join the movement to #normalizebreastfeeding. But I've decided to save those stories for another day. All of you mommas who have worked your tails off to provide your babies with breastmilk; whether by nursing, pumping, or a combination of both... I feel you. I know the sacrifice you make every day (and night), the lifestyle changes that you adopt, the physical pain you endure, and the effort you put in. I know how it feels to get disapproving looks in public places when your baby needs to eat, or to be told to stop nursing your toddler because it's not 'right.' Breastfeeding and all that comes with it is so, so hard. Yet so, so rewarding. YOU are warriors, mommas. Keep feeding your babies. All of you mommas who feed your babies with donated milk, formula, or some other combination of nutrition... I feel you. 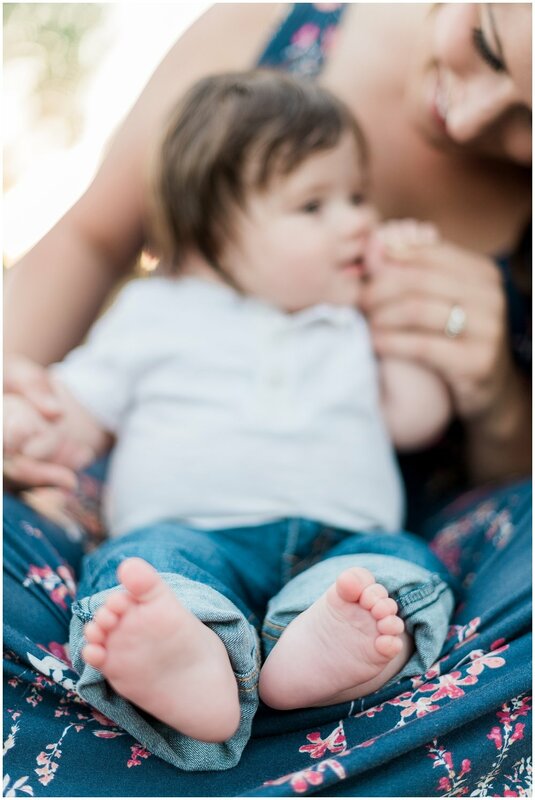 In Holden's early days with all of his medical issues, we were advised by a specialist at Seattle Children's hospital to put him on a specially designed formula while we worked through some of the complications. I walked out of the clinic that day with Holden, sat in my car, and cried into my steering wheel for what felt like an eternity. I felt robbed. Robbed of the opportunity to bond with and nurture my baby. I felt insufficient. Insufficient because for whatever reason my body wasn't giving him exactly what he needed to thrive. I felt guilty. Guilty because I had exclusively breastfed Lincoln, and I didn't want to give Holden anything 'less' than his brother had been given. I felt selfish. Selfish because I desperately wanted to dismiss the specialists advice and keep nursing my baby, even though I knew that nursing could be part of what was causing his troubles. I felt a lot of things, and none of them were good, nor were they warranted. I know that your decision to become a formula-feeding momma was probably not an easy one, and I know that more than once you have been made to feel like less of a mom (you're not) because of that decision, regardless of the fact that it was the RIGHT decision for you and your family. YOU are warriors, mommas. Keep feeding your babies. Our society has a LOT of work to do when it comes to supporting and encouraging breastfeeding mothers. We also have a LOT of work to do when it comes to supporting MOTHERS. Period. New moms need guidance. We need physical, emotional and spiritual healing and maintenance. We need partners, family members, and friends who encourage us. We need grace, love, and acceptance as we navigate motherhood. If you are a new mom, or soon-to-be-mom, I cannot encourage you enough to consider breastfeeding your baby. Talk to your breastfeeding friends and ask them to share both the hardships and moments of bliss. Get a few referrals ahead of time for a fantastic IBCLC lactation consultant. Chances are, you'll need them. Talk to your partner ahead of time about how he can support your breastfeeding efforts. You won't regret putting in the work to make breastfeeding work for you if its possible. But regardless of how it works out, regardless of how you end up feeding your baby, I hope you'll never, ever feel 'less than' because you are a mom, and you deserve all the praise in the world.